The last episode was kind of a let down (Anne should have died for God’s sake! )… Let’s hope this new episode will get things back on track! So is Anne (the character played by Moon Bloodgood) going to die? Well, I can’t say I would miss her… LoL! Spoiler update – She didn’t die, what a pity! The battle will be deadly! It’s going to an unforgettable episode! The fight is about to get brutal! Are you ready? Lexi isn’t human: she’s a monster controlled by the alien invaders… Let’s hope they will get rid of her soon! Will Maggie and Ben have some quality time together in this new episode of Falling Skies? 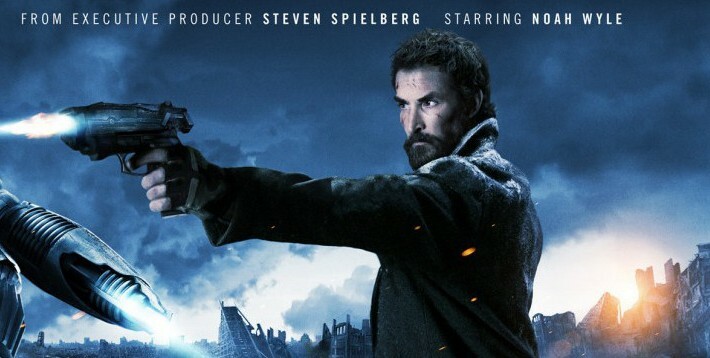 This new season of Falling Skies is taking a refreshing turn: it’s going to be epic to say the least. Can’t wait to see more! Do you think their daughter is still human? Or has she become an instrument of those evil alien invaders? And who’s the girl in red? A servant of the evil aliens or a new unexpected threat? Season 4 of Falling Skies will premiere on TNT on June 22, 2014.